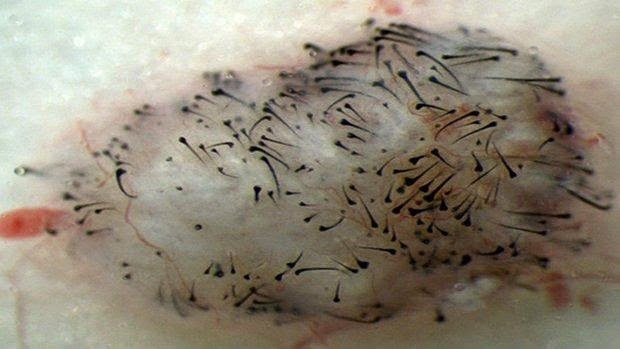 Scientists have used iPSCs to grow new hair. ﻿In a new study, researchers have used human pluripotent stem cells to generate new hair. The study represents the first step toward the development of a cell-based treatment for people with hair loss. In the United States alone, more than 40 million men and 21 million women are affected by hair loss. The research was published online in PLOS One. The next step is to transplant human dermal papilla cells derived from human pluripotent stem cells back into human subjects. Based on materials originally posted by Sanford-Burnham Medical Research Institute.